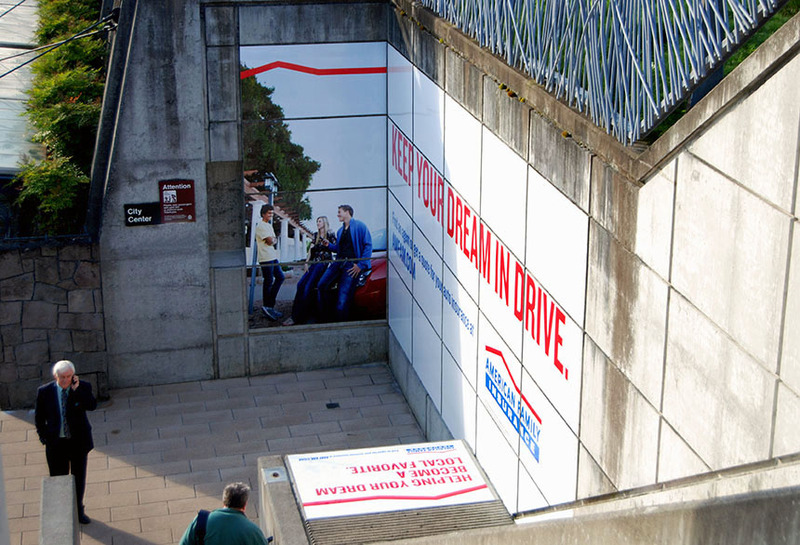 American Family Insurance used Lamar Wallscape advertising capabilities for their campaign. Wallscape’s have the added benefit of being situated in central areas with high pedestrian foot traffic. This Wallscape cannot be missed on the side of a station an area with significant commuter traffic.